While preparing for my trip to Australia, I stumbled across photos of the adorable Brighton Beach in Melbourne. Since I knew my family and I were going to be passing right by during our road trip, I requested a stop so we could check it out and I could check it off my list! The beach and its colorful huts were more picturesque than I had imagined. Each one had its own unique look and pattern, and together they lined the beach, creating a rainbow backdrop. 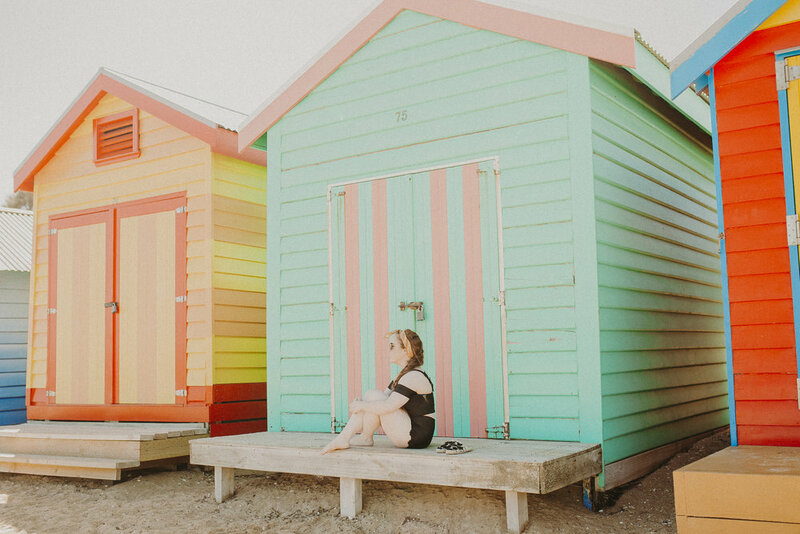 I knew this beach was the perfect place to wear my suit from Tanlines Swim, because its signature Tanlines style and beautiful detailing mirrored the iconic look of the huts. I have the Offshore Top and Bottoms, and am obsessed with the crochet flowers and unique design! The suit is supportive, flattering, and made with a quality that I know will get me through many more beach days! I know all of you in the Northern Hemisphere are gearing up for Summer. Be sure to check out Tanlines Swim for your next go-to suit!